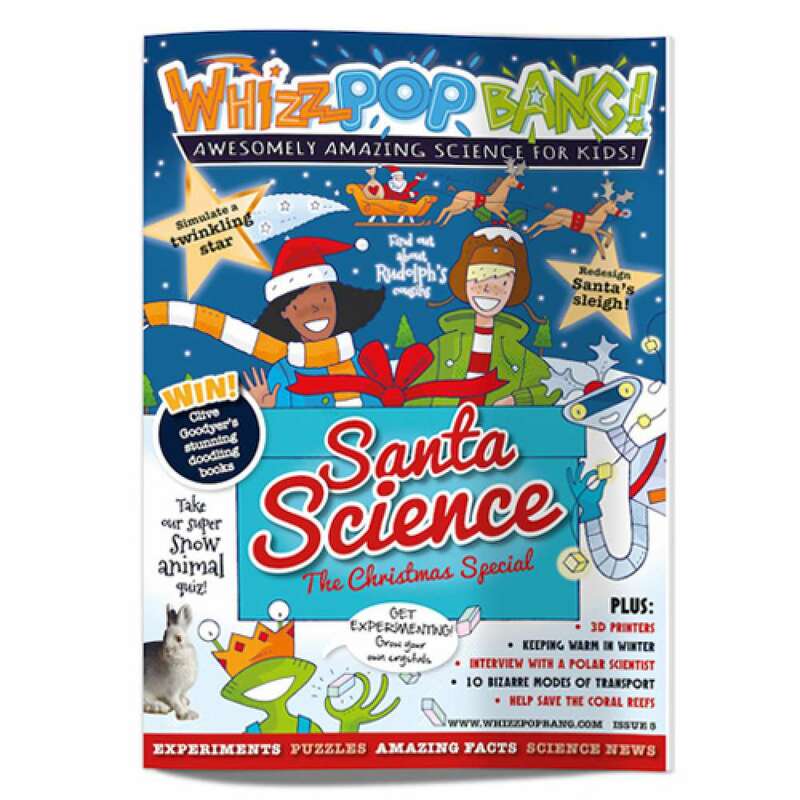 This Christmas edition of Whizz Pop Bang is bursting with science-tastic fun! 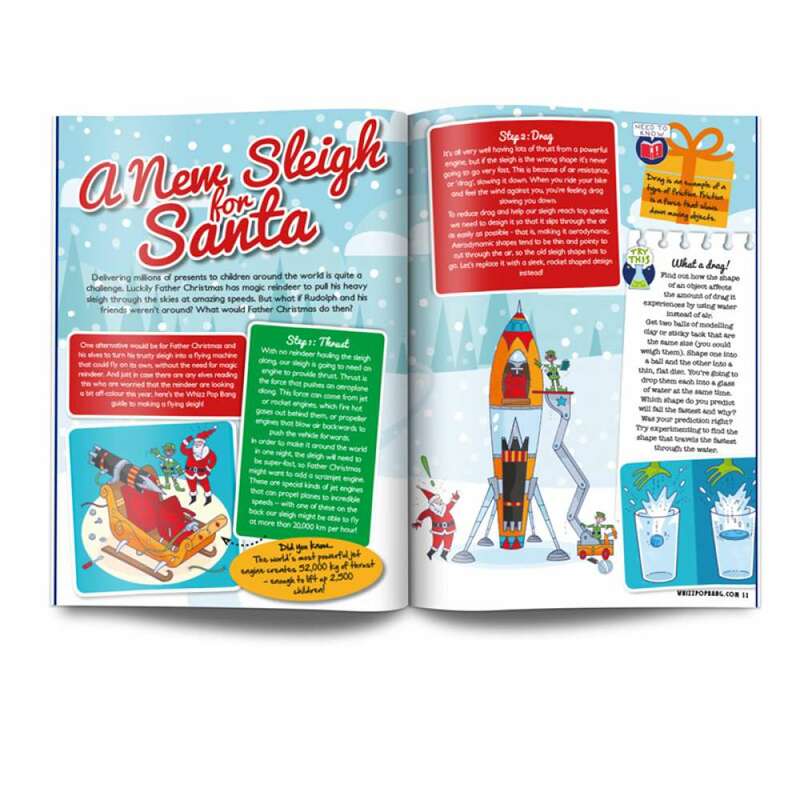 Have a go at redesigning Santa's sleigh, find out how our bodies stay warm, follow Rob Lambert's polar expedition and take a closer look at some of Rudolph's cousins. There are also lots of awesome facts about gorgeous snow animal and a quiz on weird and wonderful modes of transport. Along the way you can have a go at growing your own crystal decorations, experimenting with lift and drag and you can even imitate the light from a twinkling star! 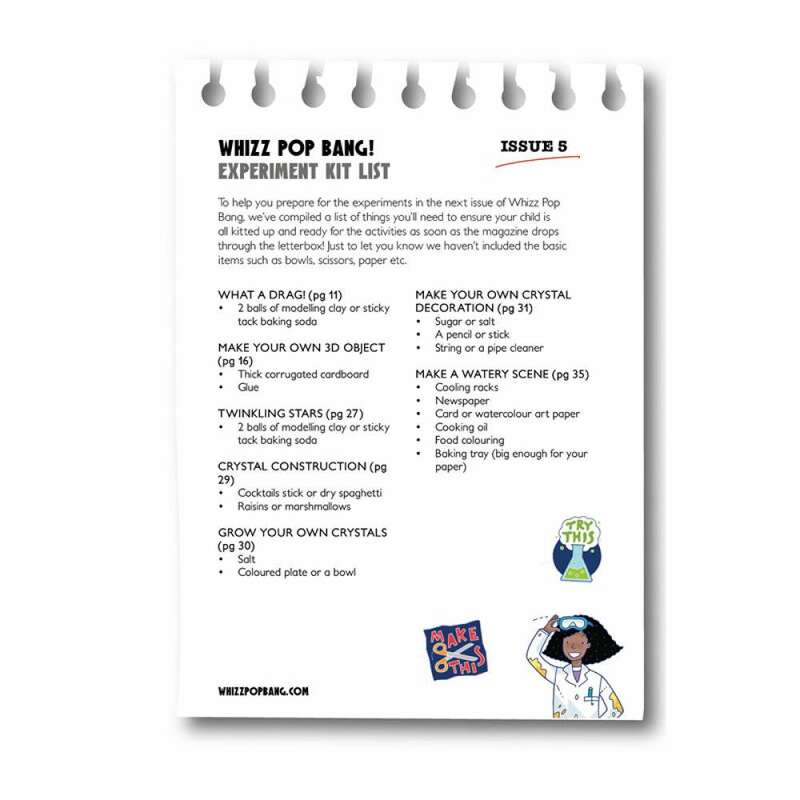 All sorts of merry science fun!